Global warming is the warming up of the planet above the temperature it is expected to be from recent experience. It is such a concern at the moment as it seems that the temperature is rising at a rate far faster than ever before and it is thought that it may be the activities of the human population over the last 150 years or so that is causing it. Mean temperatures over the whole planet have risen by about 0.8° C (1.4° F) in the last 100 years. More than half of this increase has happened in the last 25 years. The temperature records used to calculate this are extensive, they have been assembled from thousands of observation sites on land and sea covering a large, representative portion of the Earth's surface. Checks and allowances have been made for any bias that may have arisen from the weather stations or instrument changes. This is a worry because while the planet can cope with changes in temperature which are known to have happened over periods of tens and hundreds of thousands of years in the past and certainly over millions of years, we don't know how it will cope with relatively rapid changes in temperature. The current rate of change is much faster than at any other time in the last 1,300 years as far as we are aware and this is a real problem as while animals and plants can adapt to slow changes by migration for instance, a rapid change will inevitably lead to large extinctions of many species. The human population of the earth is also dependent on a stable climate for established agriculture and also cities, millions if not billions of people stand to suffer from the consequences of global warming mainly the most vulnerable people in the undeveloped nations. Climate changes in the past over Geological time periods (hundreds of thousands of years upwards) have been very drastic. 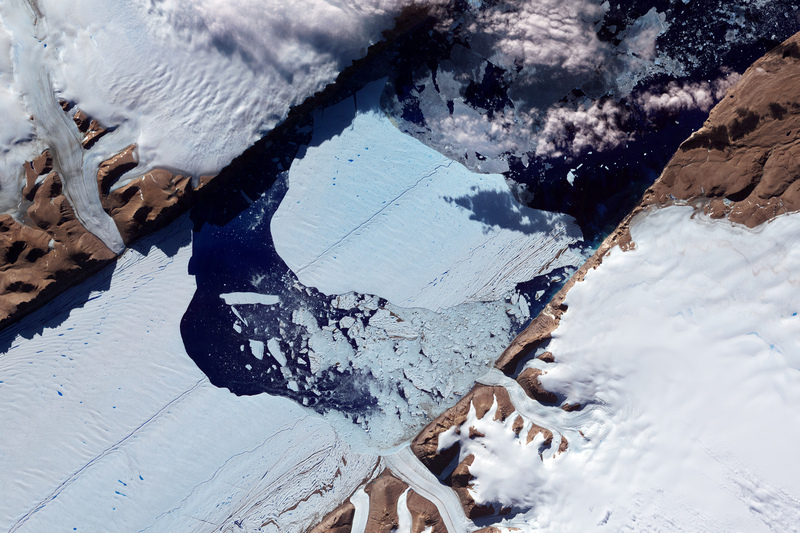 During cold periods, much of the planet, even thousands of miles from both poles have been ice-covered by huge glaciers. During warm periods, the same regions may have been sub-tropical or even tropical. Accompanying this have been large changes in sea-level so that some areas of land have either become flooded completely or left high and dry. It is potentially an enormous problem as if the global temperature rises to a level where it is affecting the Antarctic ice-caps, they may begin to melt and cause sea-level rises globally measured in meters. There are a great many cities around the world that are on the coast and they would be flooded and possibly have to be abandoned. There are also a great many countries, especially poorer countries where a large part of the population live in coastal regions. In this case the farm-land would be flooded and the people left homeless and without the ability to feed themselves. In some cases entire island nations (albeit small ones) in the Pacific Ocean could simply disappear. There are two questions about Global Warming that the world has at the moment and neither of them has a clear answer, there is much scientific debate and an awful lot of political argument too. Whose responsibility is it to stop it? How do we deal with it's effects? How do we know that global warming has taken place? We know that global warming has taken place because millions of temperature measurements have been taken over many decades from all points on the earth. 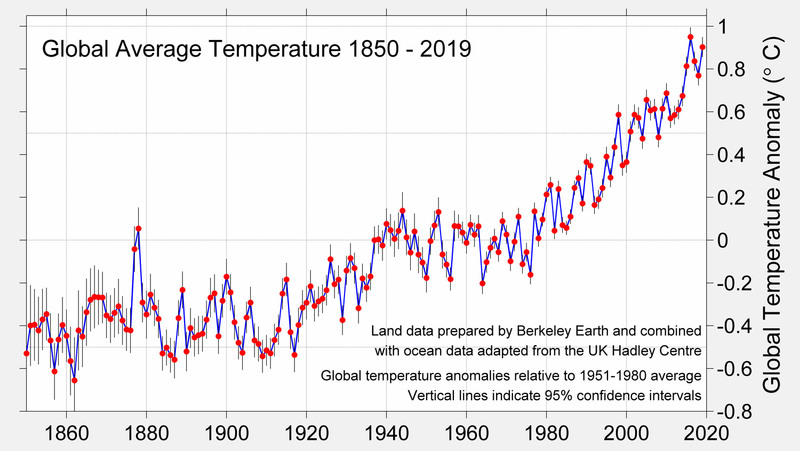 The measurement of global warming is of a wide variety of statistics over a period of time and therefore can be quite difficult to explain and understand. This sounds like a small increase and is easily misinterpreted. For example some would say that when 2006 is described as being "the hottest in Britain since 1659" (when temperatures began to be recorded in central England) it simply means that it was as warm in 2006 as it was in 1659 and there wasn't any worry about global warming then, so why is there now? Hottest since 1659 means that was when temperatures started to be recorded - not that 1659 was the 2nd hottest year ever. So it is the hottest year since at least 1659 - possibly longer. Past record years have come pretty much at random and certainly not in groups. The fourth hottest year in Britain since 1659 was 1949, 8 of the 10 hottest years since 1860 have all occurred in the last decade. Daily variations in temperature can commonly be from 5°C to 10°C which makes the average 0.74°C rise difficult to spot by the individual in the shorter term. How does global warming affect our lives now? It is difficult to say specifically what the current effects of global warming are as the weather over much of the globe is subject to large natural variations. We cannot say categorically that a particular storm or event such as hurricane, tornado, flood etc. is a result of global warming because these things have always happened and there have always historically been years when there have been more or less of them than the average. Studies suggest that the ranges of plant and animal species are shifting towards the poles at around six kilometres a decade. Sea levels rising around the world by around 200mm (8 inches) in 150 years as a result of increased meltwater from ice-caps but mainly from the thermal expansion of sea water. - Threats to low-lying areas from storms and flooding. The frequency of heavy precipitation events (rainfall) has increased over most land areas - consistent with warming and increases of atmospheric water vapour. - Greater prevalence of floods. Drying in the Sahel, the Mediterranean, southern Africa and parts of southern Asia. - Crop failures and increased regional conflict. More intense and longer droughts observed since the 1970s, particularly in the tropics and subtropics. - Effects on wildlife, particularly polar bears at first. Significantly increased precipitation in eastern parts of North and South America, northern Europe and northern and central Asia. - Buildings and roads subside and ecosystems are altered across the arctic from Alaska to Canada and Russia. Cold days, cold nights and frost less frequent. Hot days, hot nights, and heat waves more frequent. Observational evidence for an increase of intense tropical cyclone activity in the North Atlantic since about 1970, correlated with increases of tropical sea surface temperatures. - Such areas act as slow-release reservoirs for water supply in many parts of the world - can lead to water shortages and droughts. How will global warming affect our future? The predicted effects of global warming will mean that more of what would have been "normal" storms become more destructive, heavy rainfall becomes very heavy rainfall, short droughts become longer droughts etc. 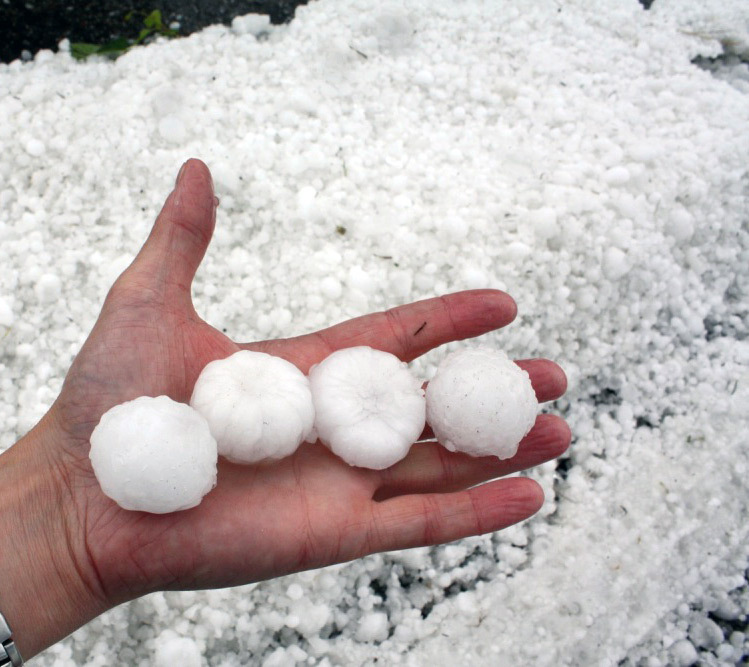 More extreme weather events will become more common. The worst potential effects of global warming are probably a result of melting of icecaps so causing global sea-levels to rise and flood many low-lying areas of the world including major cities and agricultural areas. The extent to which this might happen is dependent on how much the temperature may rise and this is the most difficult to forecast. One of the currently most regarded estimates for this future warming is 1.8°C - this is in addition to warming that has already happened. IPCC There is however the possibility that this could be anywhere from a possible 1.1°C to as high as 6.4°C. This warming effect is expected to be greater in the Northern than the Southern hemisphere and to become more pronounced at higher northern latitudes. These are some of the predicted effects for the future. Widespread increases in thaw depth most permafrost regions. 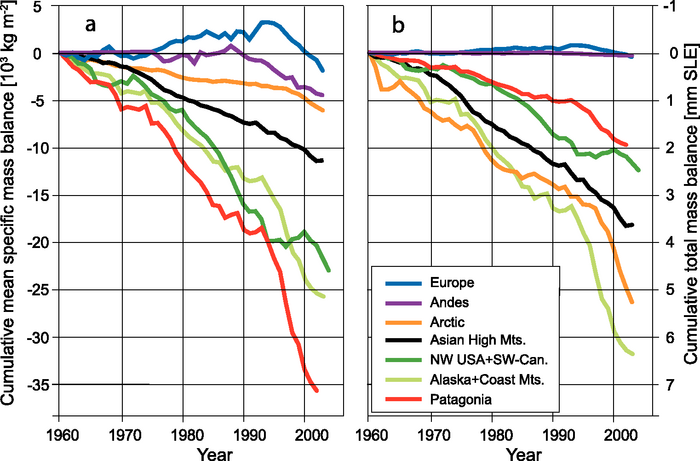 Sea ice is projected to shrink in both the Arctic and Antarctic. In some projections, Arctic late-summer sea ice disappears almost entirely by the latter part of the 21st century. Very likely that hot extremes, heat waves, and heavy precipitation events will continue to become more frequent. Likely that future tropical cyclones will become more intense, with larger peak wind speeds and more heavy precipitation. Temperatures in excess of 1.9 to 4.6°C warmer than pre-industrial sustained for millennia - �eventual melt of the Greenland ice sheet. Would raise sea level by 7m. Comparable to 125,000 years ago. Snow cover is projected to contract. How can we help reduce the effects of global warming? It's about cutting power use and consumption generally - not so simple in a world where consumption is often admired and sometimes envied and where power use can make life more convenient or more interesting. 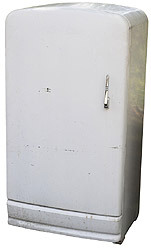 Get more efficient refrigeration - fridges and freezers are on 24/7/365 and as a result use the most energy of any domestic appliance. How does global warming lead to worse storms? The earth's weather is the result of the effect of heat energy coming from the sun combined with the atmosphere and oceans and the fact that the earth is rotating about its axis and around the sun. Different parts of the earth heat up and cool down at different times of the day and year depending on incoming radiation, this causes air and water to move as winds and currents. In other words, the energy from the sun stirs up the earths atmosphere and oceans and causes what we call "weather". The greater the amount of heat that arrives or is retained means that the weather becomes more energetic. Global warming means more energy is retained by the earth to power the weather, so we are likely to get more frequent and more extreme weather conditions as various kinds of storms as this energy dissipates within the atmosphere.